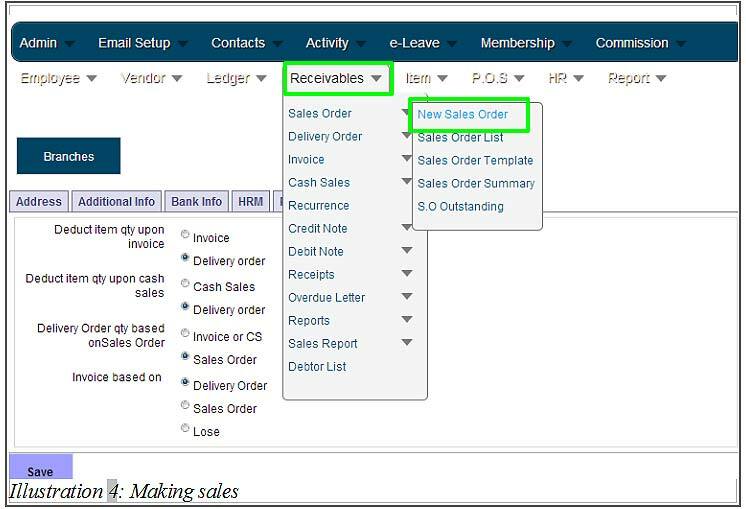 In BMO Online Inventory Malaysia, you can set the inventory system flow to follow your own company inventory setting, as each company’s flow may differ. Once a sales is made, the inventory setting will not able to change anymore. 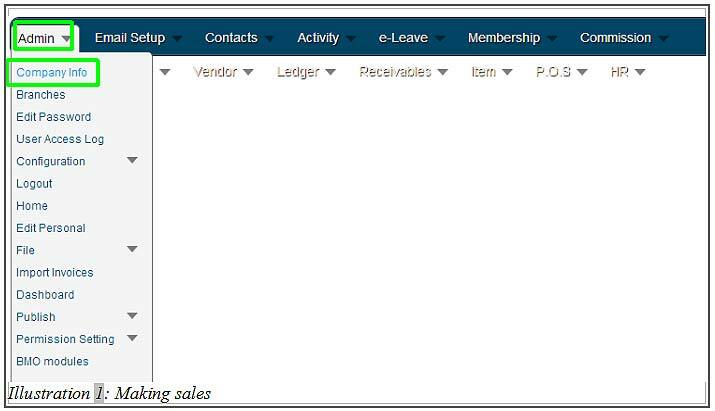 In this tutorial, we will guide you on how to set the inventory setting and making sales with Sales Order. 1. Go to Admin > Company Info. If you have set your inventory flow previously, please skip to Step 4. 2. After clicking Company Info, go to Inv. 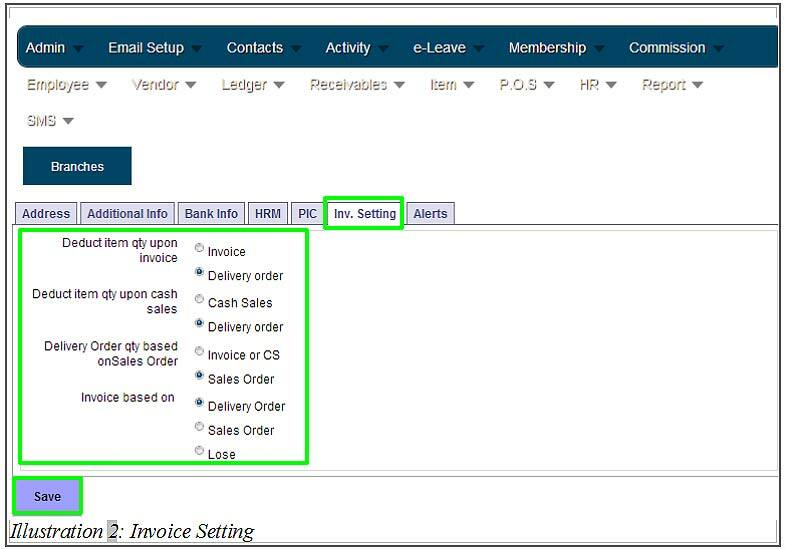 Setting tab and choose your own company inventory setting as shown below. 3. You will be notified that the update is successful. Click OK to dismiss the message. 5. Click the button next to Customer field to search for your customer contact. 6. Select your customer from the list generated by the system. 7. After selecting your customer, you can start to add your item code by clicking the button next to the Item Code field. 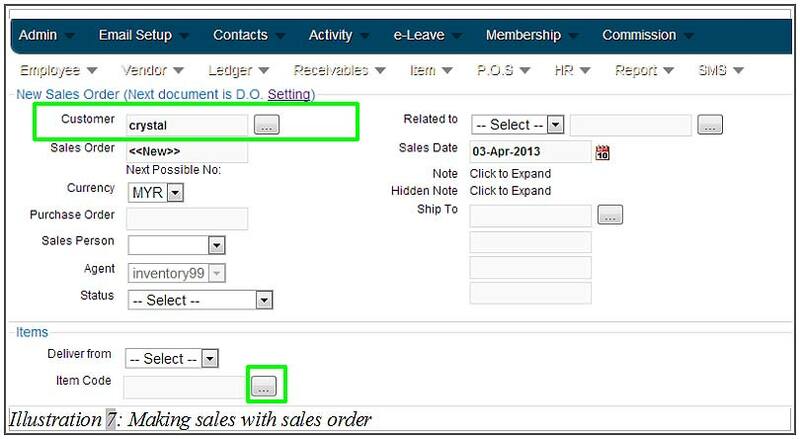 If you notice, the sentence above the New Sales Order is displayed to notify you what will be the next document to issue (base on the flow you have set at the beginning). 8. A pop up will appear with the list of items you have in the inventory. Click on “Select” to add the item into the Sales Order. 9. As you can see, the item you have selected is displayed in the Sales Order list as below. 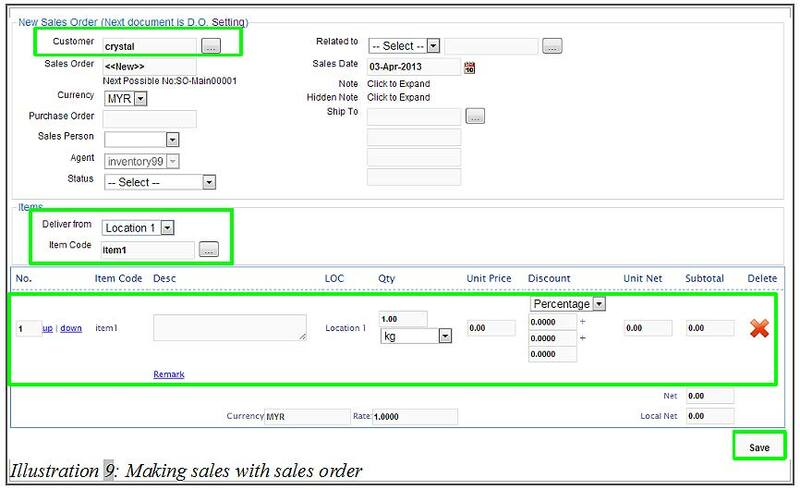 After you have complete preparing the Sales Order, click “Save” to save your Sales Order.